Family and friends are trying to find a Salina teen who has been missing since last month. 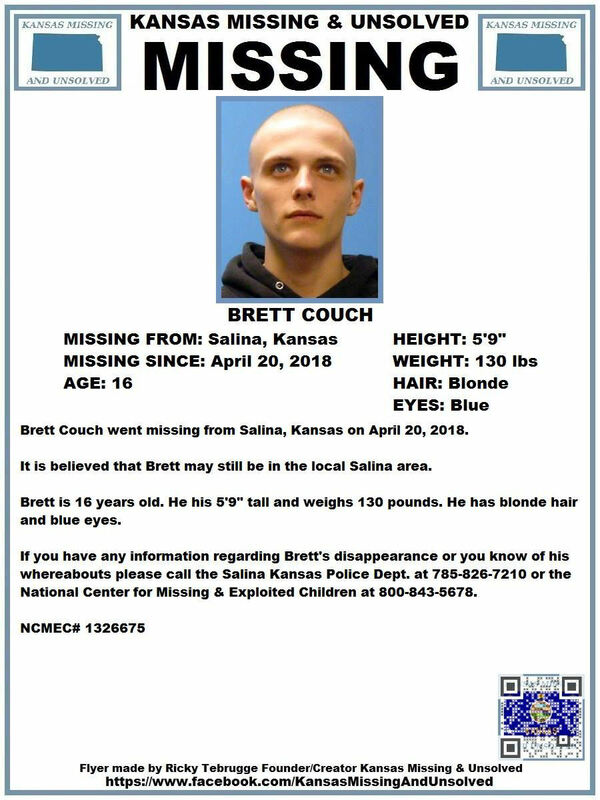 Kansas Missing and Unsolved tells KSAL News that 16-year-old Brett Couch went missing from Salina back on April 20th. Couch stands 5’ 9″ tall and weighs 130 pounds. He has blonde hair and blue eyes. Couch may still be in the Salina area. Anyone with information on Brett Couch’s disappearance, or who knows where he might be, is asked to contact Salina Police at 785-826-7210.